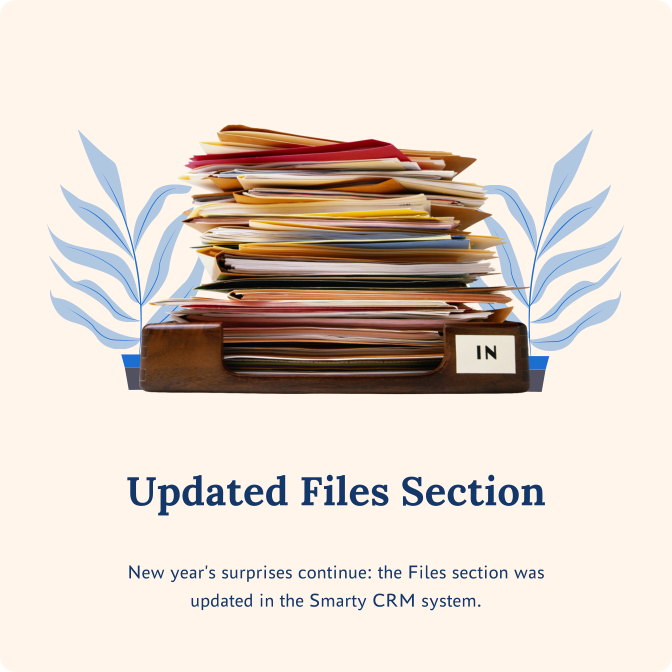 New year's surprises continue: the Files section was updated in the Smarty CRM system. Now it is possible to create folders of any nesting degree. Store data library in workspace catalogs. We really managed to integrate file operations into the business system in the most convenient way. The interface and functionality of the updated section can be compared with the best cloud file storages! Congratulations on the upcoming holidays!